Yeh Yeh and Mah Mah have been calling me a Poet. I have been composing many poems during the school holidays. 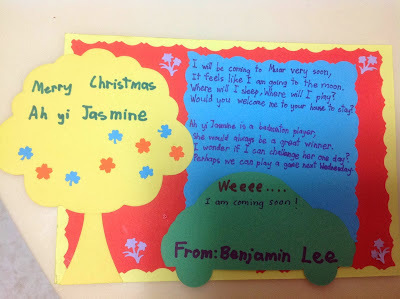 It started when I made a Christmas card for an aunty in Muar. Thanks Chloe. Blessed New Year to you.